This blog is by Tim Huestis of Shearman Bowen and Co.
As of 2 March 2015 new drug driving laws come into effect. 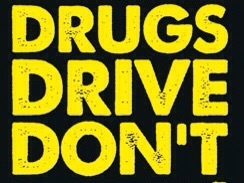 Drug driving is prohibited by a new s5A Road Traffic Act 1988. Drivers can be subjected to a roadside ‘drugalyser’ test that can detect the presence of cannabis and cocaine in a driver’s saliva. Drivers can also be subjected to a field impairment test. A failure of either roadside test can lead to an arrest whereby a suspect is taken to a police station to undergo a blood or urine test. The blood or urine test will test for 8 illegal drugs: cocaine, cannabis, ketamine, LSD, methylamphetamine, heroin, benzoylecgonine, and MDMA. It is also now illegal to drive with certain prescription drugs, however the legal limits have been set above normal doses and drivers who take their medication in accordance with the advice of their doctor should fall below the limits. Drivers convicted of drug driving face imprisonment (up to 26 weeks currently as a summary only offence, although 51 weeks allowable if the legislation increasing Magistrates sentencing powers comes into effect) together with disqualification, level 5 fine and anywhere between 3-11 points. Certain procedural aspects surrounding the enforcement of drug driving laws remain unclear. Indeed, Greater Manchester Police have issued a statement confirming that they will not be prosecuting suspected drug drivers until the new laws and procedures have been scrutinised by the Courts. There will inevitably be legal challenges to the procedures, practice and evidence, and myself and the Shearman Bowen team look forward to putting the legislation under rigorous scrutiny. Tim Huestis, Solicitor, Shearman Bowen & Co. This entry was posted in Featured, Guest Blogs, Law and tagged drug driving, drugalyser, Shearman Bowen, tim huestis on March 2, 2015 by Greg Foxsmith.